Not that I’d never noticed before. I am, after all; a people watcher. a student of culture. a keen observer of social science. Tonite, I observed all 3 of the above at multiple times with multiple dad’s & their daughters. Distracted Dad’s. Disconnected Dad’s. Distant Dad’s. 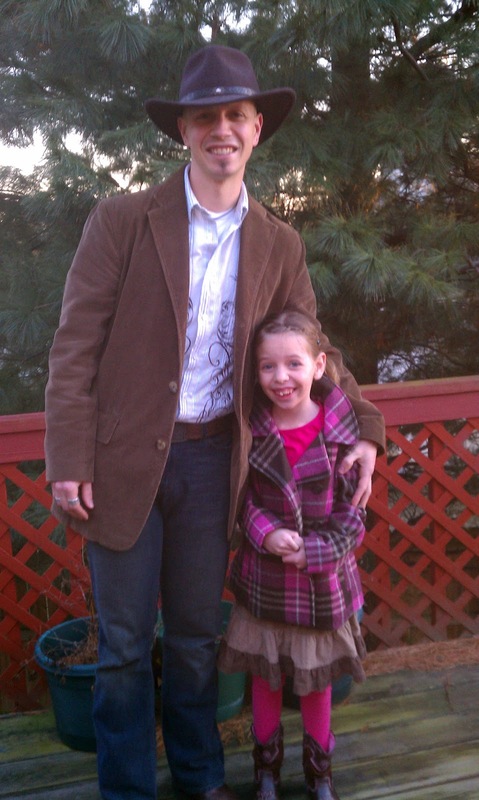 Not a judgement, an observation- Of Myself….I have been “that dad”. All 3 of them in fact, sometimes all at once. I feel awkward walking into a room of dude’s I don’t know, I make valid reasons in my head to be disconnected, distracted, distant. And it’s so easy to be like this- especially when you sense every guy in the room is just doing the same.. just getting through the evening so he can go home and do something else more important- like watch ESPN or something else to distract him from true beauty. There is something within us as Men that can cause us to succumb to a feeling of carelessness when a moment, an event, an evening with a child… does not focus on us or on our interests. We give in to this sin of selfish distraction and our daughters suffer. They lose hope of the love they desperately desire that only a Dad can reflect… a Dad that loves in such a way that He foolishly dances with His daughter. I noticed that tonite too… I saw a Dad being a fool of himself…. His moves were definitely more like 1992 than 2012, But he strutted his stuff like no body’s business, and nobody mattered but that one girl he brought with him- his daughter. No Distraction. No Disconnection. No Distance. Just Dancing. I noticed I was jealous; jealous of the abandon this Dad possessed, the abandon that all Dad’s possess yet push away. The abandon to ditch everything and everyone else and focus on the one in front of you, the one you came to be with, the reason you are there in the first place. your Child. And I think about God. I think if He was at a School dance we would not observe Him being distracted, disconnected, or even distant. I think He would be making a complete fool of himself, even embarrassing Himself with the careless, over-the-top love He has for His child. He would dance like no Dad has danced before. He would Dance because that is why He came in the first place. And every child in the room would be waiting in line for Him. I noticed something tonite. I want to be more like God and less like me. I want to be that Dad that dances with his daughter while other guys just sit and stare. LOVE this post, Adam. I made it to the end of the night without a tear, but as I photograped some of *those* dads who were slow dancing with their baby girls and looking like there was NOwhere else they'd rather be (not to mention the beautiful, contented faces of their daughters), my tears flowed as they do every year. These magical years fly by all too fast. You're wise to realize it and commit yourself to loving your children as God has called us to love! Darn you Adam! I wanted to go a day without tearing up at something. It's only 10:45. Do'h!